Since joining Walmart, I’ve been getting a lot of questions about what’s next for Walmart.com. For me, the road ahead is pretty simple: We’ll keep our fanatical commitment to saving customers money – it’s who we are. And, we’re going to be equally obsessed with saving our customers time. I’ve been here for four months and I couldn’t be more excited about how fast we are moving. It feels like a startup. We’ve rolled out a new leadership team and organizational structure that’s highly customer centric. We’ve got everybody working on new ways to serve our customers. Today we’re announcing free two-day shipping to home and to stores on more than two million items, without a membership fee. 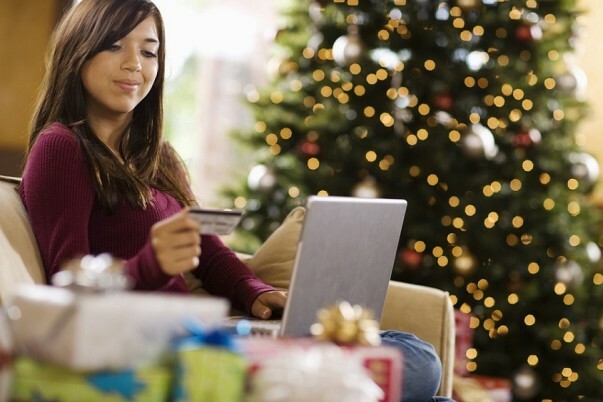 These items make up the vast majority of what customers buy online. In today's world of e-commerce, two-day free shipping is table stakes. It no longer makes sense to charge for it. We believe this is the most compelling all-around value proposition for customers looking for low prices, a broad assortment and quick shipping. Obviously, with this announcement, there is no longer a need for ShippingPass. ShippingPass was a great way to test what we ultimately wanted to offer customers – free two-day shipping. All current ShippingPass members will receive a refund on their membership. This is just the beginning. Now that we’ve checked the two-day shipping box, my focus is on leveraging our unique assets and network to serve customers in innovative ways that only Walmart can. Stay tuned…you won’t be waiting long. My order number is 3331752-758854 if it matters to you. From reading the other comments on this page, I feel I have put my trust in the wrong company!!! I would either like to have my order or a refund! Preferably before I'm stuck with the a shipping fee and a restocking fee. I am 64 years of age and on disability. This was to be my form of entertainment. How can you live with yourselves while treating people this way!!!?? I placed an order on March 3, 2017 in the amount of $74.79 for a Bob Ross Paint Set. My money was taken from the card on that day. I was expecting 2 day free shipping. They told me I could expect to receive it on March 17th-24th. It is now the 14th and my order shows as still processing. If they plan to get it to me on the 17th, why didn't they just ship it in 2 days like they said to start with. Why is my order still being processed? When will I be receiving it? HELP!!!!! So far your "2 day" shipping has been 3 4 or 5 days. What's up with that. The shipping pass was much better. Try returning an item.Walmart.com uses third party vendors and I neede to return an item so I took it to the store only to find out that I bought it through a third party vendor then they charged me both a shipping fee plus a restocking fee. If they are on walmart.com then they need to be subject to walmarts return policies. I am paying so walmart dosen't have to. How was I supposed to know what third party companies are what. What will shopping be like in 10 years? No one knows all the details (that’s exciting! ), but one thing is for sure: it will be very different than it is today. Editor’s Note: This piece by Walmart CEO Doug McMillon was originally published Jan. 6, 2017 on the World Economic Forum’s website. History is clear about that. In the mid-19th century, most people in the U.S. were shopping at small markets. They would tell the manager what they wanted, and then wait for the item to be retrieved from the back or from the supplier. After that came the urban department store, supermarkets, then strip malls and discount stores. Today, the pace of change is rapid. Ten years ago most customers were reading about the original iPhone, and wondering whether it would be useful. Now they expect to order something on their mobiles, have it delivered or pick it up in store – often on the same day, in a few hours, or even in a few minutes. It’s up to retailers to adapt to these changes – and in some areas even lead the way – or they’ll fall behind and disappear. Customer satisfaction has always been the number one goal for retailers, and in the future, customers will be more empowered than ever to drive the change they want, as they get more control over their shopping experience. Technology – the internet, mobile and analytics – is being used to do anything and everything a customer doesn’t want to. Customers want to explore. But they need to have easy access to items they choose to use all the time. 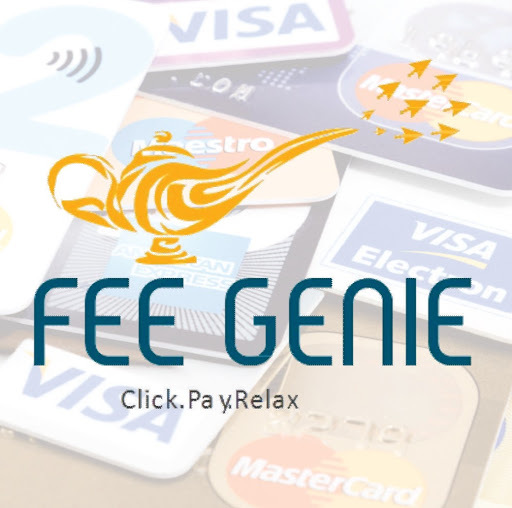 The historic trade-off between price and service has been altered by technology and customers expect to save time and enjoy the experience while saving money. They’ll fulfill their everyday needs – items like laundry detergent, paper, light bulbs, grocery staples and shampoo – in the easiest way possible through a combination of stores, e-commerce, pick-up, delivery and supported by artificial intelligence. Customer desires – think emerging fashion, fresh produce, and items they’ve never seen before – will still be fun to explore in stores as well as with technology (think virtual reality). 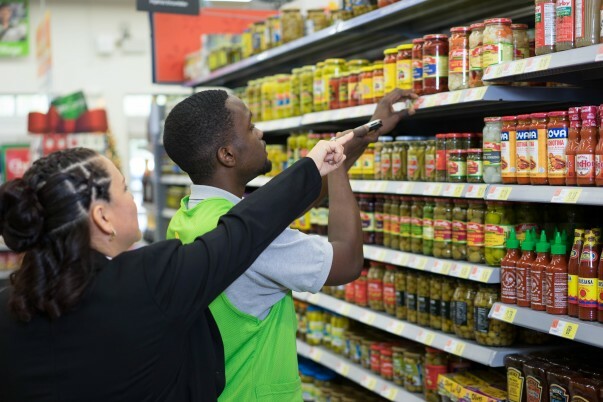 Retailers that provide a truly unique, enjoyable experience and prepare their associates to provide excellent service will have the advantage. 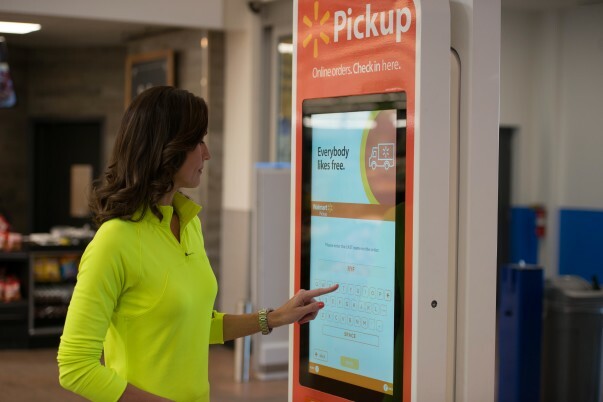 At Walmart we already see the value customers place on personalization and convenience, through our success with grocery pick-up and delivery in several markets around the world. With the growth of the internet of things, customers will enjoy an increasingly connected or “smart” shopping experience through a network of connections linking the physical and digital worlds into an ecosystem of devices, including vehicles, stores and software. The internet of things, drones, delivery robots, 3D-printing and self-driving cars will allow retailers to further automate and optimize supply chains too. Both sides of the equation – demand and supply – will change dramatically. In addition, customers will continue to demand transparency around pricing and the supply chain. They’ll have less time to research the products they buy – but they’ll care even more about how they are sourced. They’ll choose to shop with retailers who provide that transparency so they can feel good about the items they purchase. This will require retailers to work with manufacturers to source items responsibly and sustainably. Retailers who do this and share the information will further earn customers’ trust. The world needs inclusive growth provided in a sustainable manner. People are demanding it. As Tom Friedman taught us, the world got flat and now it’s moving fast. The world needs inclusive growth provided in a sustainable manner. People are demanding it. With all these changes, retailers will only survive if their business creates shared value that benefits shareholders and society. Social and environmental sustainability will be engineered into our systems, and that will strengthen the communities in which we operate, which will in turn appeal to customers. These changes, however, will require new levels of cooperation and collaboration between retailers and NGOs, governments and educational institutions. Basically, we’ll design retail and other businesses so that all stakeholders (as many as possible) benefit: customers, associates/employees, shareholders, the communities we serve and those in the supply chain. 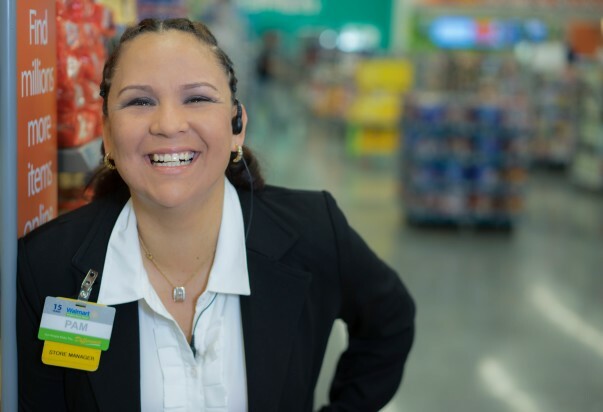 At Walmart, we’ve already found that investments in training, education and wages for our associates have resulted in higher customer satisfaction. Our customers want our associates to have a great life and they want to see that reflected in their attitudes and the service they provide. When it comes to environmental sustainability, retailers and policy-makers face new challenges with the increase in packaging waste and emissions that comes with the growth of e-commerce. Shipping packages one at a time is not only wasteful and environmentally unsustainable, it isn’t cost-effective. The demand for convenience will force retailers to come up with new ways to ship items – in batches vs. one at a time – that are better for business and the environment. While all these changes pose big challenges for retailers, they also represent unprecedented opportunities to innovate on behalf of customers and create new job opportunities for retail associates. I can’t think of a more exciting time to be in retail, to be at the forefront of change and part of an industry that has the potential to provide a better life for millions around the world. This piece draws on a new report, Shaping the Future of Retail for Consumer Industries, which can be read here. I run out of space just would like to know if it is policy that you have to show your receipt after purchasing your items when leaving the store.. like I said in previous comment i live in Tennessee.. thank you for your time in advance. Hi Kim, could you provide which Walmart Store you were shopping at? This is very true Mr.Doug but it must be done very carefully Walmart from day one reached when Mr.Sam started Walmart I have no doubt he had the vision of what was coming & became a part of it but his idea's where to continue on not to follow but to lead.Walmart has been good to me in the past & I would like to help with its future just needs a lottle tweaking. I've read each of the comments made so far to this post. Admittedly, I know little about e-commerce, technology or artificial intelligence. It's been my experience, however, that when the leader(s) of a team, no matter how small or large the team might be, can create an atmosphere that results in every individual on that team knowing they're a meaningful part of it, great things can happen. The internet changed how we shop. It brought the store to our screens. More and more, when it comes to finding the exact product that we want at the best possible price, we search and buy online. 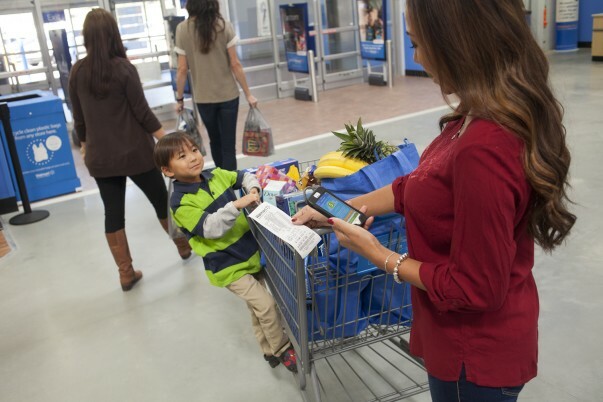 When you visit Walmart.com, my team and I work hard to make sure you can find what you need, every single day. One way we do that is through our Marketplace sellers. What is Marketplace? I like to explain it like this: Imagine you’re in a shopping mall, and instead of visiting lots of different stores to find what you want, everything you’re looking for is in one store. What’s more, you’ve got a personal shopper helping sort through all the options, morphing the shelves as your preferences change, to find your perfect item at the perfect price. That’s what’s happening behind the scenes when you visit Walmart.com. When you search for an item, not only do you see options from Walmart.com’s own inventory – your search likely brings up choices from third-party sellers, too. These are third-party sellers that we’ve chosen to work with because they offer a great selection of products at a great price. Imagine you’re in a shopping mall, and instead of visiting lots of different stores to find what you want, everything you’re looking for is in one store. Marketplace makes it easier for customers to find a wider range of the items we sell in stores, plus some other brands you might not find at a store, like Toms and Vans shoes. Since this time last year, we’ve grown the number of Marketplace sellers by more than 30 times. This has helped us triple our assortment on Walmart.com since last year, with more than 20 million items today, and growing. One of our highest priorities in developing the Marketplace is ensuring the quality of our overall customer experience. We reach out to customers to learn about their experiences, and we’re proactive about checking data to see where we can help Marketplace sellers improve their performance to go above and beyond. We’ll continue to focus on our Marketplace sellers as they help us help you find exactly what you need. 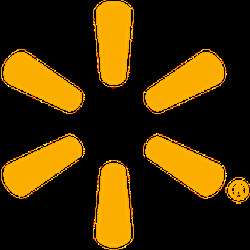 This is just one way Walmart.com is working to make your online shopping experience better across the board. Fifteen years ago, I spoke very little English, my husband had abandoned me and my 2-year-old son, and I was being evicted from my apartment. For several months, we were even living out of my car. Having recently moved to the U.S. from Chile, all I had was my son and the job I’d recently started at a Walmart Supercenter in Boynton Beach, Florida. And that job ended up providing the support system I needed to rebuild my life. When Eunice, an associate in deli, heard I was being evicted, she opened her home to my son, Sebastian, and me. She took us in and would never accept a dime for it. When I had to work, Eunice and other associates arranged their personal schedules to help take care of Sebastian. There were many nights I cried myself to sleep because I didn't know how things were going to turn out. But, the love and support I received from my coworkers at Walmart lit a fire under me. I committed to learning everything I could – moving from deli, to seafood, to fresh, to the meat department. My store manager even agreed to give me a chance to try working in receiving. Any part of the business I wanted to learn, my team at Walmart accommodated. At the end of 2004, I applied for the company’s assistant manager program and was accepted. That was the miracle that turned my life around. I’ll never forget buying a new car and, a few years later, my own home. So many times, I just stood there smiling. 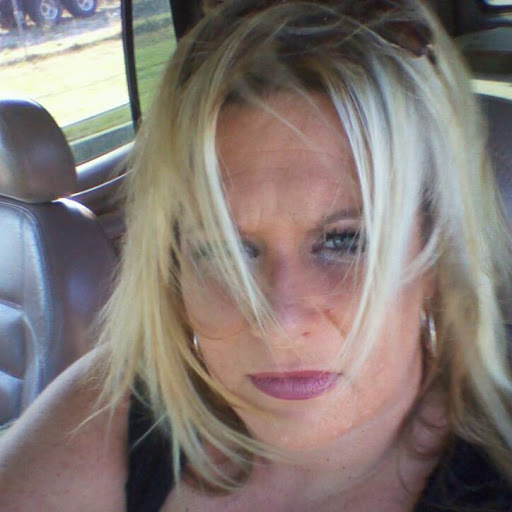 As I did so, I thought about Eunice and the other Walmart associates who stepped forward when I was in desperate need. I could not have done it without them. My career has helped me provide the kind of life I always wanted. I’ve since served in a variety of managerial roles at Walmart stores in Florida. My career has helped me provide the kind of life I always wanted for Sebastian. But it also led me to meet a wonderful man, get married and grow my family from two to five. Earlier this year, I helped open the new Walmart Neighborhood Market in Palm Beach, which I now manage, and it has been an absolute blessing. More than 60% of the customers in my store speak Spanish, so there’s a natural connection between us. I’m able to lead and create opportunities for the associates around me, just as Walmart did for me. Editor’s Note: For more of Pamela’s story, here’s a recent article published in the Sun-Sentinel’s Spanish newspaper, El Sentinel. When I arrived in Pass Christian, Mississippi, in 2009, I knew putting down roots would come with its share of challenges. A native of Peru, I didn't speak much English and couldn't even help my 9-year-old daughter with her homework. But I was willing to do whatever it took as long as there was an opportunity. Walmart store #5079 extended me that opportunity as a part-time associate in the deli. Being able to make a living in my new country not only motivated me to learn English, but also pursue my GED certificate so I could better provide for and assist my daughter. Looking back, doors have continued to open for me from the very first day I was hired. I’ve made lifelong friends, earned U.S. citizenship, been promoted to full-time training coordinator, and built a life I'd always envisioned – which includes long walks with my family along the Gulf Coast. Today, my English – and confidence – have grown so much that I’m pursuing my new dream of becoming a human resources manager with Walmart. Taking inspiration from my store manager, Lynn Day, I’ve started working toward my associate degree through Walmart’s partnership with American Public University. Encouragement and support from people like Lynn helps me continue to realize my goals. She’s such a great mentor to me – and that’s what I want to become for the people around me. I believe that knowledge is power. And I believe if I have the knowledge, I have the power to help people. Editor’s note: Discover more stories like this. We're sorry to hear about your recent experience in our store. Our Price Match policy does vary per location. If you'd like to speak with one of our store managers from the locations you visited, please tell us more here: https://corporate.walmart.com/contact-us/store-corporate-feedback.